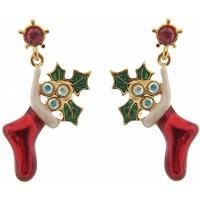 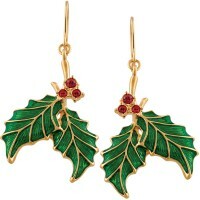 A brilliant festive gift for any brooch collector or decorative jewellery enthusiast. 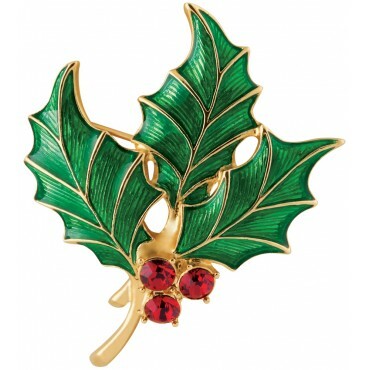 Our gold plated metal alloy holly brooch is set with red Austrian crystals, giving the brooch shine and sparkle. Designed in London and made in Britain to the highest standards, this brooch features three holly leaves with three red crystal set berries. 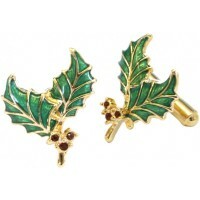 With vibrant green enamel, be sure to stand out when wearing this brooch.